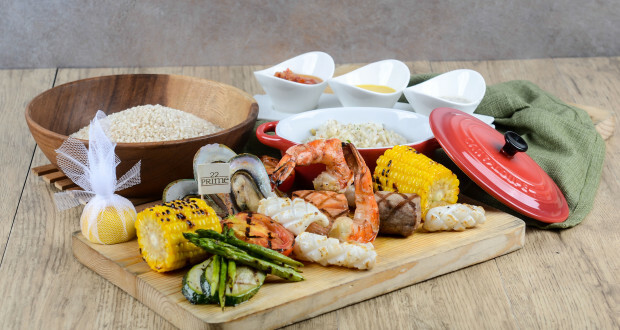 With rice being a staple in every Filipino’s dining table, Food and Beverage Director of Discovery Group, Chef Anthony Raymond, decided to use heirloom rice as an additional feature to the exquisite selection of dishes at Discovery Suites Ortigas’ flagship restaurant and steakhouse, 22 Prime. This sustainability effort aims to spur vital support for the Heirloom Rice Project in the Cordillera region which was initiated by Food Staples Sufficiency Program (FSSP) of the Philippine Department of Agriculture, in collaboration with International Rice Research Institute (IRRI). The Heirloom Rice program aims to give paramount attention to farmers and their traditional rice varieties to ensure that the legacy of heirloom rice will live on. 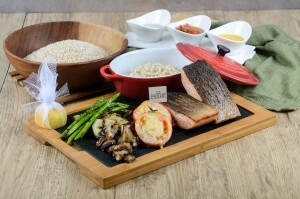 22 Prime at present uses a traditional rice variety grown in Ifugao known as Tinawon rice. Unlike the processed white rice prevalent in the market, heirloom rice varieties are proven to be healthier. Some must-try rice dishes are Norwegian Cut Salmon served with cilantro heirloom rice and fresh basil pesto, Grilled Mixed Seafood with heirloom rice pilaf and corn on the cob, Miso-Glazed Black Cod paired with cilantro-infused red mountain rice, and Duo of Beef which is a combination of braised USDA short ribs and grilled wagyu hanger steak with heirloom rice pilaf. Discovery Suites Ortigas is located along 25 ADB Avenue Ortigas Center, Pasig City. For inquiries and reservations, call (02) 719-8888, email reservations@ds.discovery.com.ph or visit http://www.discoverysuites.com.